Dr. Jeffrey Wisnicki, M.D., F.A.C.S. “Unique” is probably the best word to describe Steven (Steve) L. Powers. Starting with his first job, Steve proved himself as a special individual with unique talents. He was chosen from among all the computer students in his high school to fill an after-school programming position at a local technology company, as a ninth grader. By eleventh grade, he had accepted an offer to move to a full-time IT position at a local ITT telecommunications subsidiary. Steve was not your average high school student. Steve did not want to miss it. In the summer of 1985, Steve started SLPowers Computer Consultants (SLPowers) in a small 10x10 office rented from a friend. His American dream had been launched, and with a lot of cold calling, advertising, and plain old hard work, it began to steadily grow. Starting as an accounting software consultancy, SLPowers grew with the industry. With each new technological improvement came the opportunity to market new products to an ever growing list of clientele. This clientele included government, engineering firms, higher education, financial firms, medical offices, law firms, insurance, manufacturers, and many more. Branching into hardware and software sales and eventually settling into a niche as a network systems integration provider, SLPowers met the needs of the market as it changed from a PC to a networked PC environment. Steve developed a marketing plan that addressed the client’s need for expert network installation and support. This plan involved emphasizing expertise by acquiring industry certifications. Through hiring and training key personnel the firm was able to acquire certifications from major networking and software vendors such as Microsoft, Novell, Compaq, Hewlett Packard, Cisco, and others. Along with providing corporate leadership and vision, Steve also became proficient in developing and managing relationships with ‘C-level’ executives. Following this approach produced business relationships that were more resilient as well as more financially rewarding. Steve focused on presenting proposals to prospective clients that were concise and showed return on investment rather than following traditional price competitiveness models alone. This approach proved to be more logical to owners and high level decision making executives. These approaches helped SLPowers separate itself from its competition and to gain significant market advantage which yielded a reputation for excellence in the region. The one guiding principal that Steve constantly infused into his business dealings was that customer satisfaction is paramount, sometimes even when it cost him money. Although a cliché to some, Steve stays committed to the belief that customers need to be satisfied and that a business should do what it promises. SLPowers reaped the fruit of this principle through high client retention and priceless word-of-mouth advertising. The great reputation that SLPowers had built led to acquisition offers and the eventual sale of controlling stock in the firm to a local competitor in the year 2000. Evidence that the reputation Steve built was top notch received further validation when the acquiring company chose to maintain the corporate identity of SLPowers as it does even until present day. Steve, at the age of 33, had accomplished that unique American dream. He had built a business, created jobs for others, and achieved financial success. After selling the firm, Steve enjoyed the opportunity to be available more often for his wife of 25 years, Shelly, and his three children, especially during their formative years. 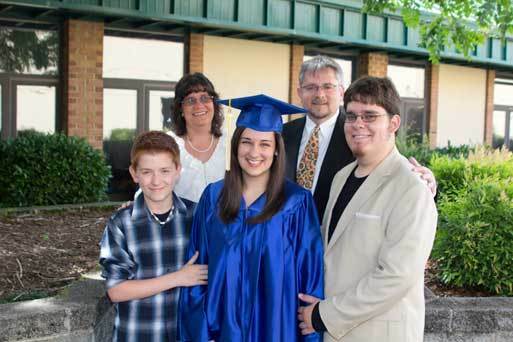 As a home-schooling family, Steve and Shelly have sought to support the home schooling cause and have served on the advisory board of the Foundation for Educational Leadership as well as on the board of Smoky Mountain Home Education Association. Steve and Shelly have also served as instructors for ESOL (English for Speakers of Other Languages) classes at their local church. Recently with his two eldest children away to college and his youngest well into his teens, Steve began to seek out his next career challenge. After evaluating current technology trends, Apptastic Marketing was formed in late 2010 to address the new market for smart phone apps. Producing marketing apps exclusively for corporate clientele, Apptastic Marketing has begun to see its first fruits, even in today’s challenging economic environment. Though incubating his new startup, Steve remains open to opportunities that would allow him to put his considerable business experience to work in a challenging and rewarding enterprise.